This class is for students who know very little about the different types of firearms such as pistols, rifles, and shotguns, which can be further identified by their action. The cost is a flat fee of $45 and lasts 3 hours. Students 12 and older can take this course. Live ammunition is not permitted in the building, but students may bring there unloaded firearms to class. Classes will take place in an indoor, temperature controlled classroom, located at 1322 N. Academy Blvd. Suite 203. Range time is not included unless otherwise planned separately. All sales are final and no refunds will be given. For more info, please see the refund policy. 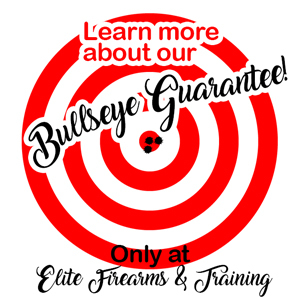 If you do not see a date that accommodates your schedule, please call (719) 445-6638 or email info@elitefirearmstraining.com to set up something that does!